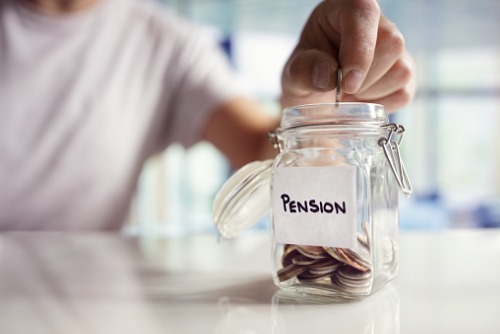 Canada’s defined benefit pension plans posted weaker returns in the third quarter of 2018 but narrowly avoided slipping into negative territory. A report from RBC Investors & Treasury Service reveals a 0.1% return, down sharply from the 2.2% returns seen in the second quarter. Plans were fortunate to show positive returns at all due to the large turnaround in the performance of Canadian equities – which posted a decline of 0.3% in Q3 2018 compared to a gain of 6.8% in the previous quarter. The TSX Composite Index saw a decline of 0.6% in Q3 following its 6.8% gain in Q2 as the materials and energy sectors weighed heavily. Healthcare was the outlier with gains fuelled by cannabis stocks. Returns were also impacted by interest rate rises. "Despite a lackluster quarter for Canadian equities, Canadian pension returns remain in positive territory for 2018 at 6.7 per cent for the year. Interest rate hikes and free trade negotiations weighed on Canadian indices and impacted returns this quarter,” said Ryan Silva, Director, Head of Pension and Insurance Segments, Global Client Coverage RBC Investor & Treasury Services. He added though that the newly negotiated USMCA trade agreement should provide some relief in Q4 2018. But trade concerns remain a key issue in the coming months. “As we head into the final quarter of the year, ongoing geo-political concerns, interest rate anxieties globally, and an economic slowdown in China shouldn't be ignored,” said Silva. “Asset managers will need to maintain their vigilance to the ongoing volatility and retain a diversified portfolio to actively manage their risk exposure." Rising long-term yield levels helped pull back Canadian Fixed Income returns in Q3 2018 compared to the previous quarter. Q3 2018 returns were -1.5 per cent compared to 0.6 in Q2 2018. Weakness in Canadian equities was of course seen elsewhere; and global equity returns in Q3 were 2.3%, down from 2.6% in Q2. The MSCI World Index gained 3.2% this quarter, versus 3.8% in Q2 2018 while emerging markets dropped another 2.8%.